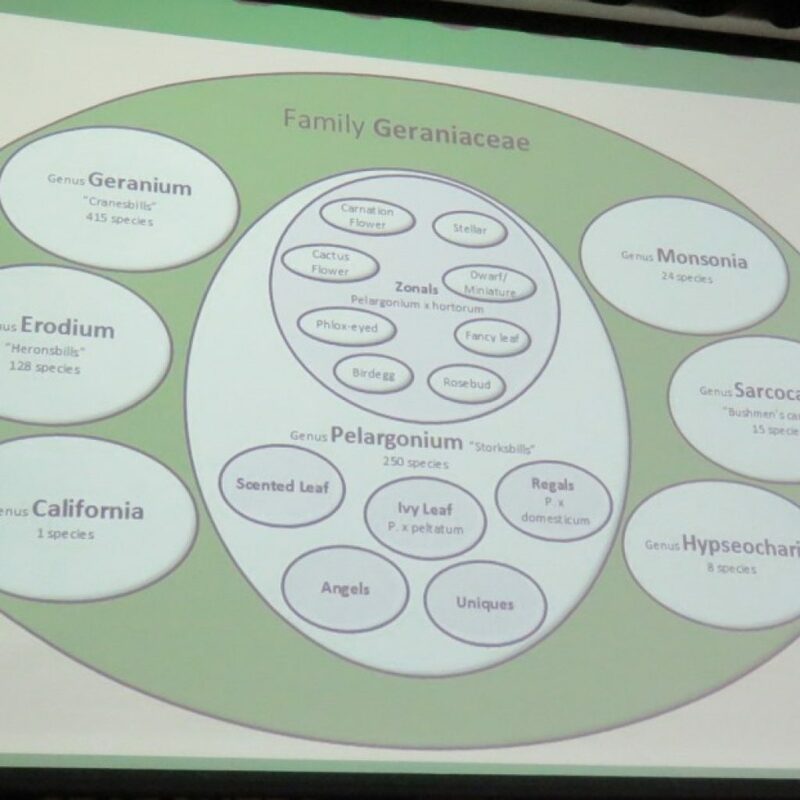 It may be cold and frosty outside, but Barbara Puchala, Past President of the closed Canadian Geranium & Pelargonium Society, enticed us all to look towards Spring with her interesting talk! 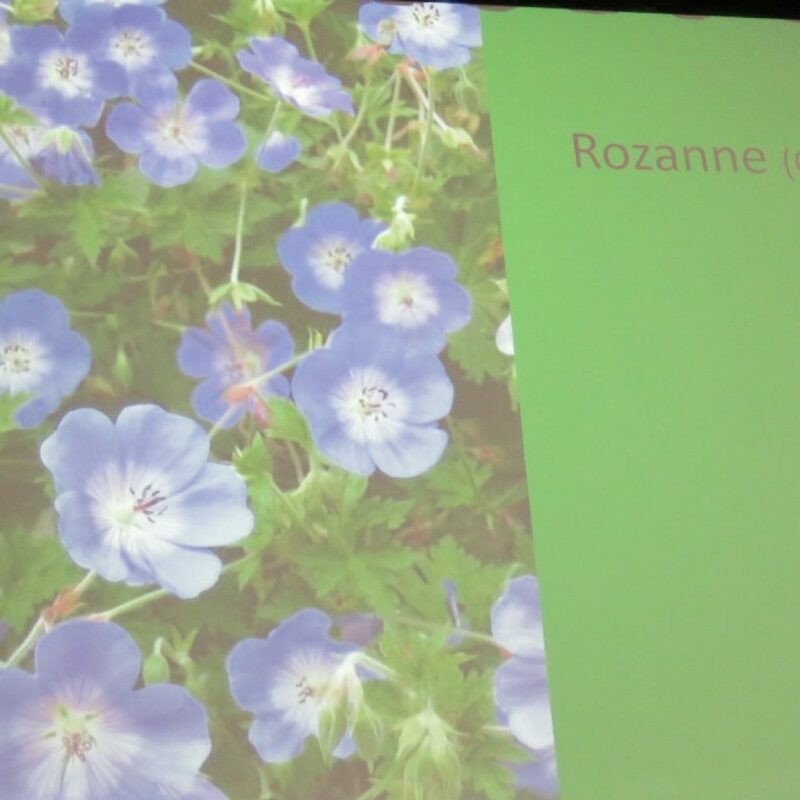 Although Geraniums and Pelargoniums are both part of the Geraniaceae family, they are not the same! Pelargoniums are what the uninitiated (and many garden shops!) tend to call “geraniums”. 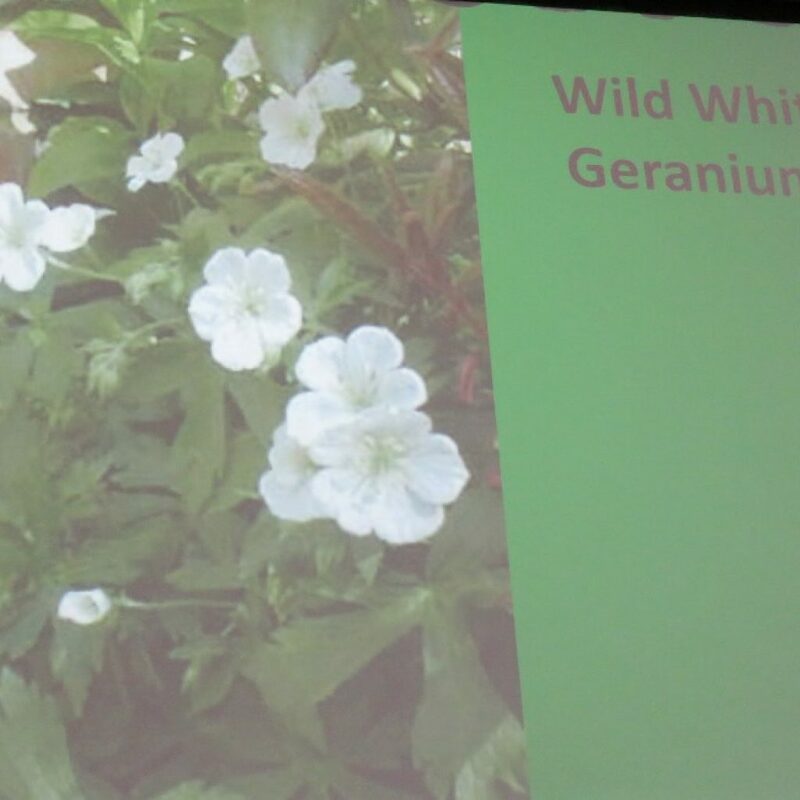 True geraniums are perennial plants. They have 5 similar, symmetrical petals and are sometimes referred to as “Cranesbills” because of the shape of their seed pods. 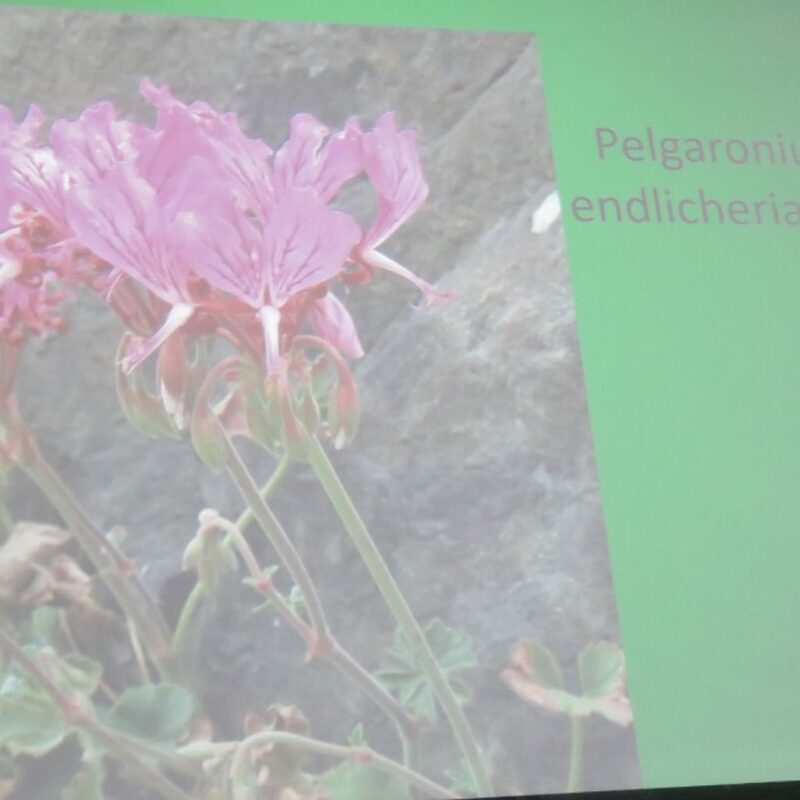 (https://www.geraniumrozanne.com/geraniums-and-pelargoniums/) Pelargoniums are not winter hardy. They have 5 petals, but the two on top are larger than the bottom three, so the appearance is asymmetrical. Their seed pods are also different. 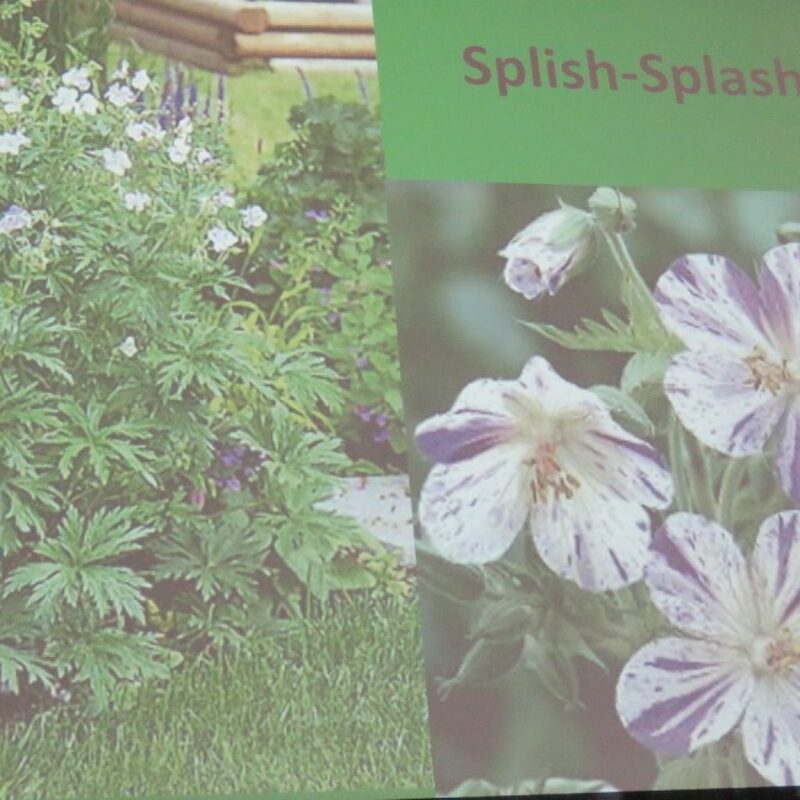 One of the most well-known names is the “Martha Washington geranium”. 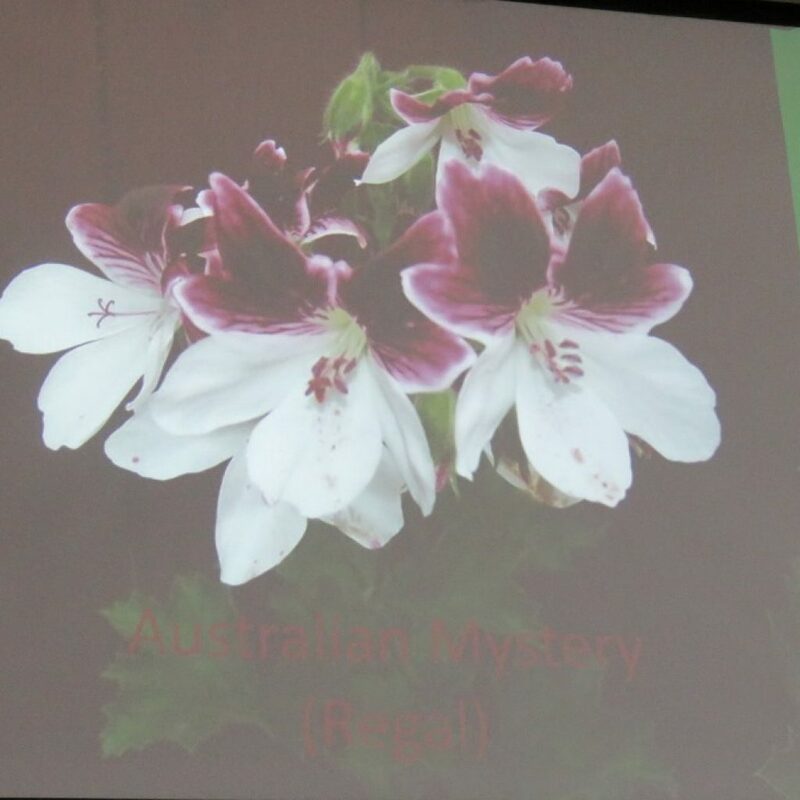 Barbara informed us that these are actually “regal pelargoniums”! The original Martha Washington variety is no longer available! 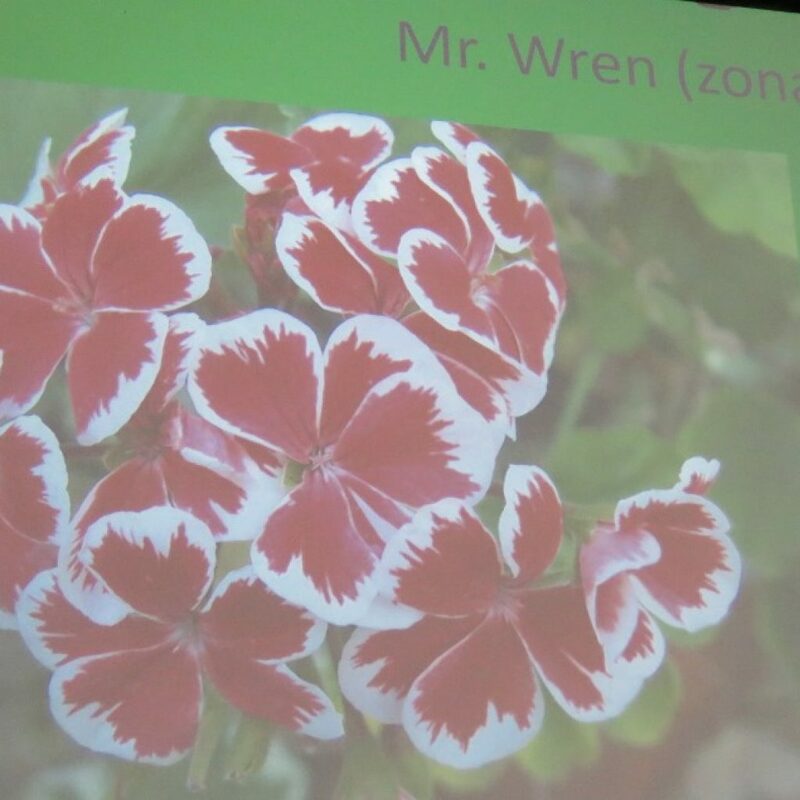 Another interesting tidbit from Barbara was that varieties are no longer allowed to be called “Mr. or Mrs.” in honour of someone. Pelargoniums are a wonderful addition to any garden. They have vibrant blooms, are easy to grow (just don’t overwater! ), tolerate neglect, and bloom all season. They come in almost any color except yellow. Their lovely colorful leaves mean that they don’t have to be blooming to have an impact. 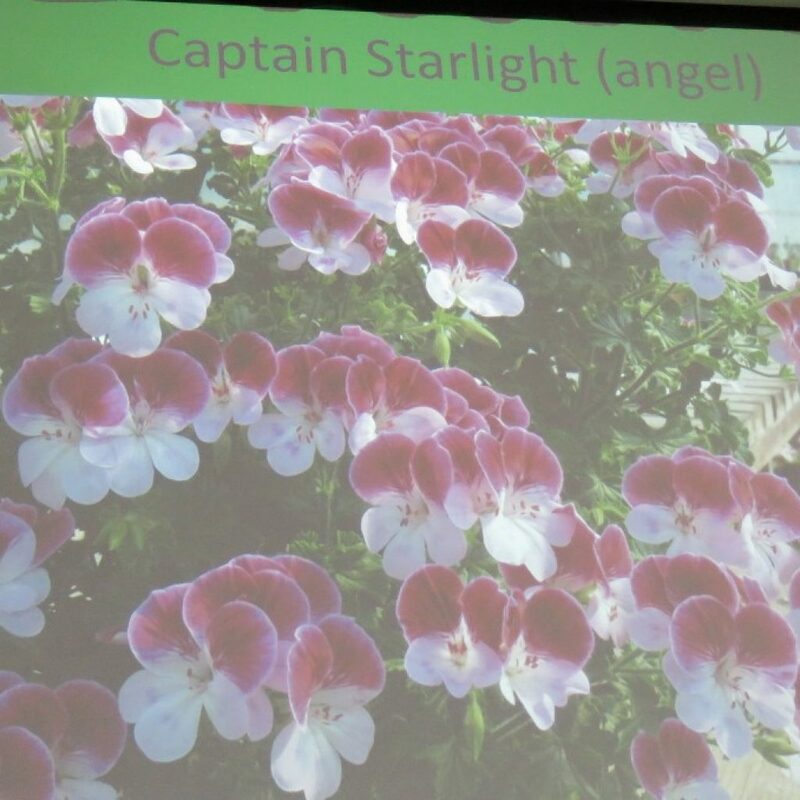 The “usual” pelargoniums are zonals, angels, regals, ivy leaf, scented, (and uniques). 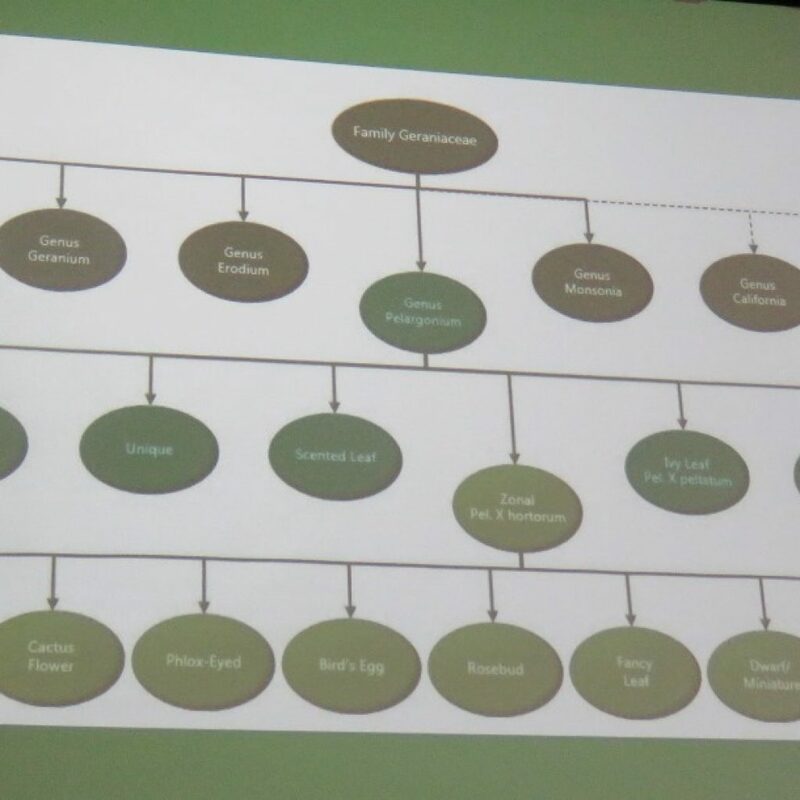 There are over 250 species and thousands of varieties! 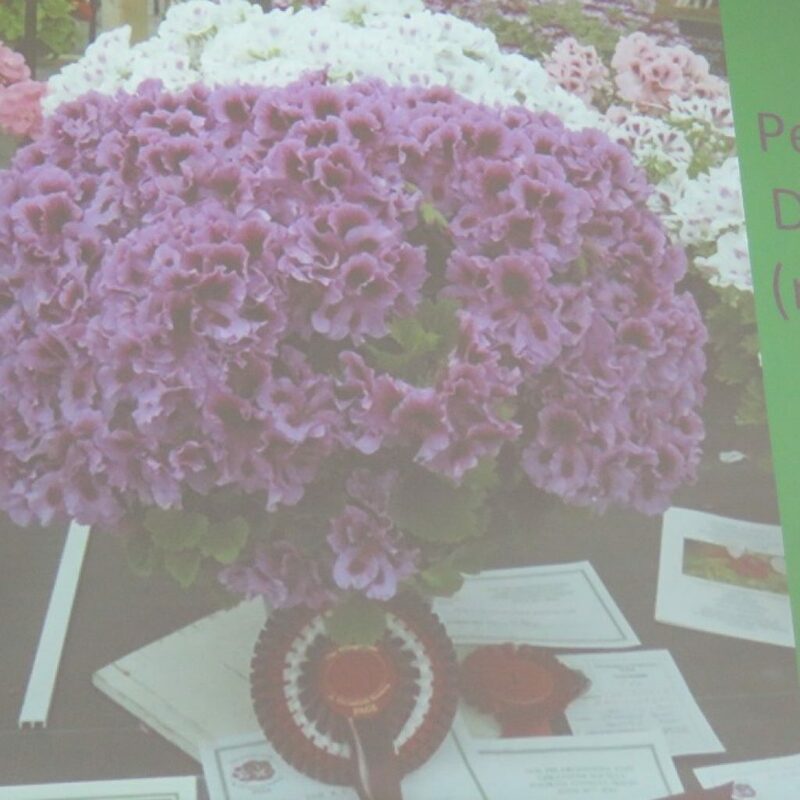 An important consideration for growers is that while pelargoniums do not like cold or dampness, they absolutely cannot thrive in conditions that are both cold and wet. Most enjoy the hot sun, although regals are a notable exception. Barbara takes cuttings of her pelargoniums to save for the following year, as her indoor (winter) space is limited. She leaves the original plants in the ground and may get a nice surprise when a plant occasionally survives after a mild winter! She noted that it is getting harder to import interesting varieties because of increasing restrictions aimed at protecting potato crops. Keep those cuttings! One member asked about cutting back her plants that were brought inside to protect from frost. Barbara cautioned them to wait for warmer spring temperatures. If you cut them back now (mid-winter), it will encourage them to send out new shoots far too early. 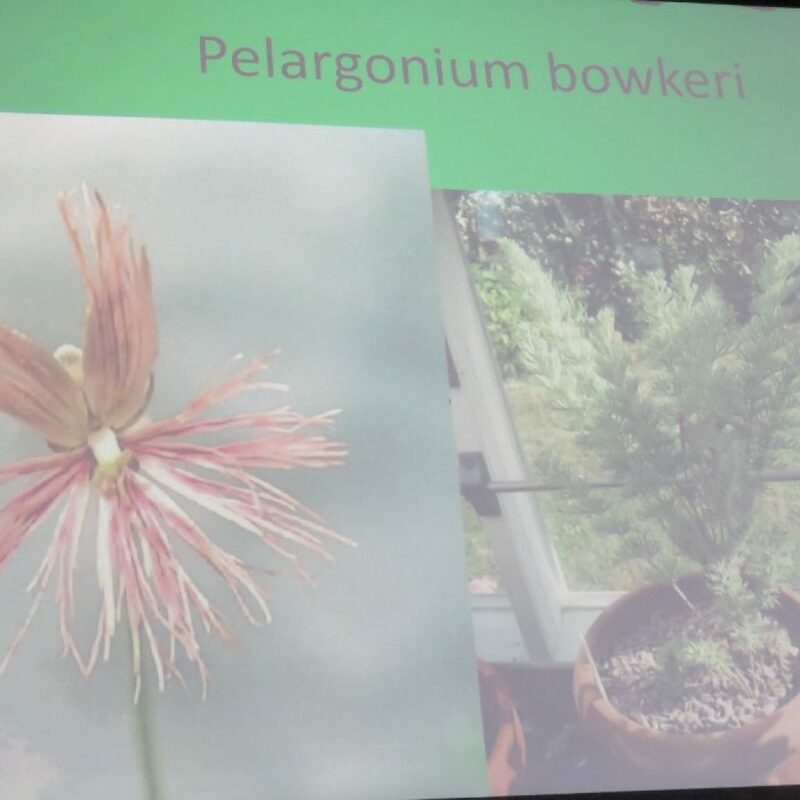 We had a special treat seeing Barbara’s photos of amazing competition plants. They looked like giant flower balls! A caveat here though, is that these plants have to be discarded after flowering. They have no “growing tips” to use as cuttings (as everything is sacrificed for the flowers) so their usefulness is done. What a shame! There seem to be countless varieties of pelargoniums available to suit every taste! 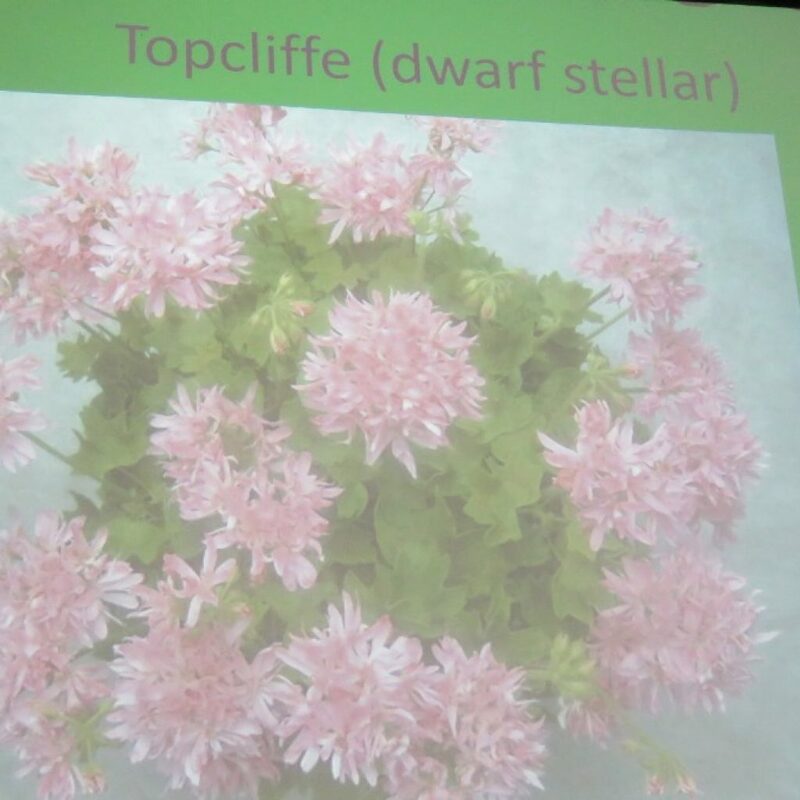 They are particularly effective in mixed containers due to both their continuous blooms and their attractive foliage. Choose your colors thoughtfully; matching up, for example, burgundy blooms with companion leafy plants of purple hues. Some of Barbara’s favourite pelargoniums are: Vancouver Centennial (which has many subtle shades depending upon sun/shade, soil type etc. ), P. Fringed Aztec (regal), Lord Bute, Appleblossom Rosebud, Grainge’s Antique Rose, Patricia Andrea, Australian Mystery, Pink Dolly Vardon (tricolor zonal), Topcliffe (dwarf stellar), Platinum (has white edged leaves and salmon colored flowers),Captain Starlight (angel), Lotusland (gold leaf stellar), Frank Headley (silver leaf zonal), Shirley Gillam (tri-colour Stellar), Tattoo (dwarf zonal), Black Velvet (regal), Beronmunster (regal), Nhullenby (regal), Presto (stellar), Mrs.Pollack (tri-colour zonal), Robin (regal), Pat Pope. 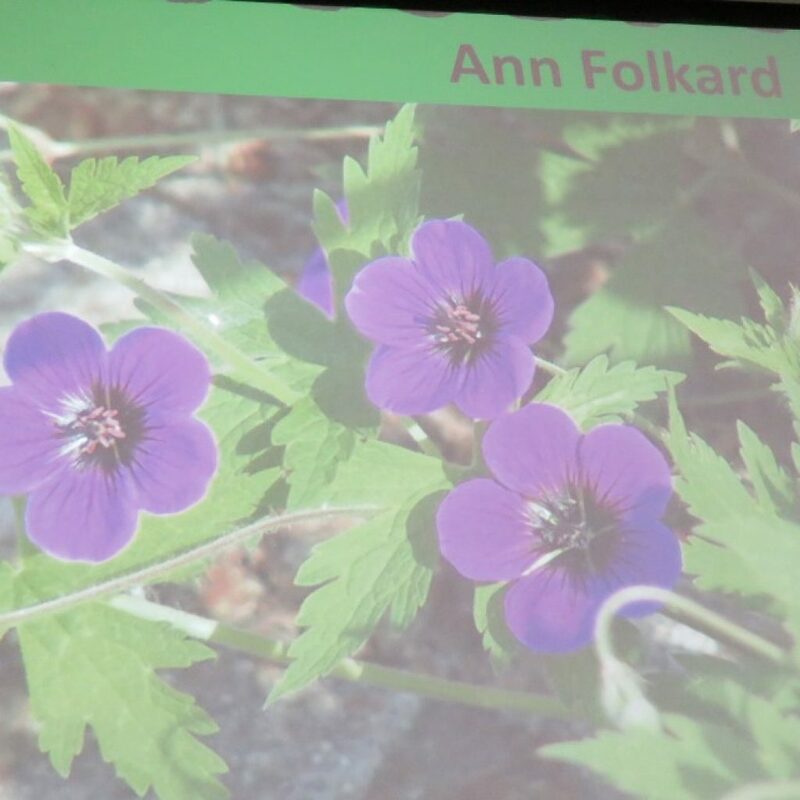 Some of her favourite geraniums are: Anne Folkard ( a ground cover with purple flowers), SplishSplash (blue, variegated), Rozanne (Gerwat), Geranium x magnificum, Phoebe Noble, Wild White Geraniums. It would be hard to imagine a garden without at least ONE pelargonium or geranium! Who would have thought, however, that there were so MANY choices! Thank you, Barbara, for sharing your love of them with us! 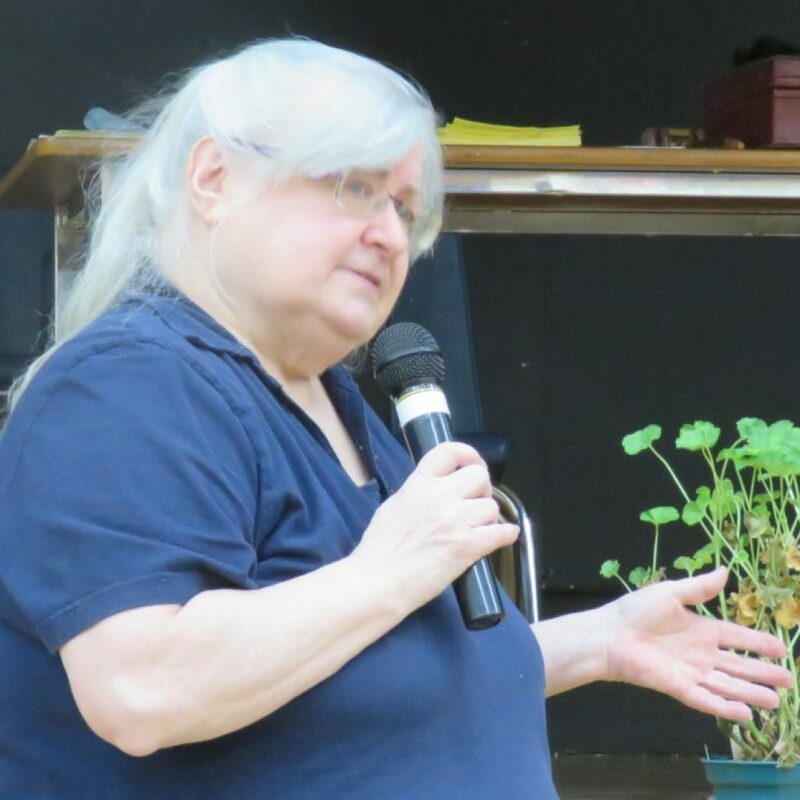 Plant, Bake & Craft Sale 2019!